This post was supposed to be about whole braised oxtail. After receiving consultation in my shell-like in a pub recently, about hammering out snappier, micro-recipe type posts, it was supposed to be my first. However, I got off on the wrong foot by wittering on about memories of eating oxtail soup as a poorly boy, with curly ginger hair and runny nose, and drifted on for about 500 words about my childhood. Which is fine, there is a place for that sort of stuff on blogs. But I wasn't really sticking to the task. As a result, I subsequently fell into a dark pool of self-doubt, with eyes bulging at the screen as I came back up to the surface. This was then followed, as always, by a prolonged bout of procrastination on Twitter. 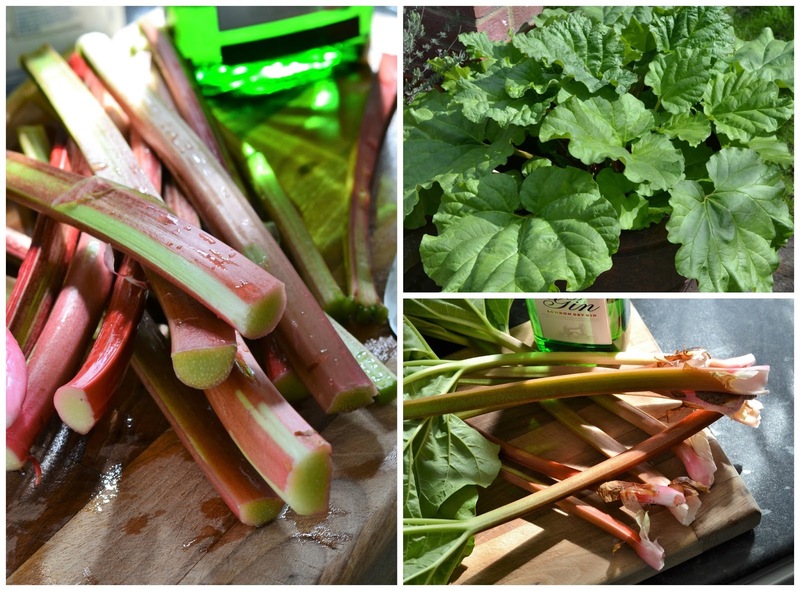 And then suddenly, I found myself outside in the garden, ripping up stalks of rhubarb that was just beginning to pink, having then decided that I was going to make rhubarb gin. Writing is indeed a bugger sometimes. But this is good. Because I can now show you how to knock up something exciting and imaginative in about, oooh, 5 minutes. Give or take. And that was the whole point in the first place. So, rhubarb gin, what's that all abaaaht then? Well, there really isn't anything difficult about it. It's gin, flavoured by rhubarb and I happen to think that this triffid-like vegetable tastes great. When smothered with sugar, or doused in vinegar, or poached with wine, or curried that is. In its raw state, it's horrific. Your gums will recede so severely, that any teeth you have left with fall out immediately and you'll end up looking like Kenneth Williams for the rest of your life. Always, always cook it. Although I do use that term loosely. For enhancing the gin, I start 'cooking' my rhubarb by adding a tablespoon of sugar, to get everything macerating away and so that the juices can start leeching out. Just one tablespoon mind. You can always add some more further down the line but if you add any more than necessary, you will end up with a hooch that is far too saccharin for sipping cold on hot summer days. Again, I am thinking about your teeth here. Give it a month or so before you consider fishing the rhubarb back out and I would leave the pinkish gin* for at least another month or so. Before slurping on the patio and reclining on a sun lounger, legs and knees pressed together like a couple of saveloys for that all important Instagram shot. Just remember though, it won't always be high days and holidays. You will need to get on with some proper work at some point. I know this more than most. Because today I finish the day job. 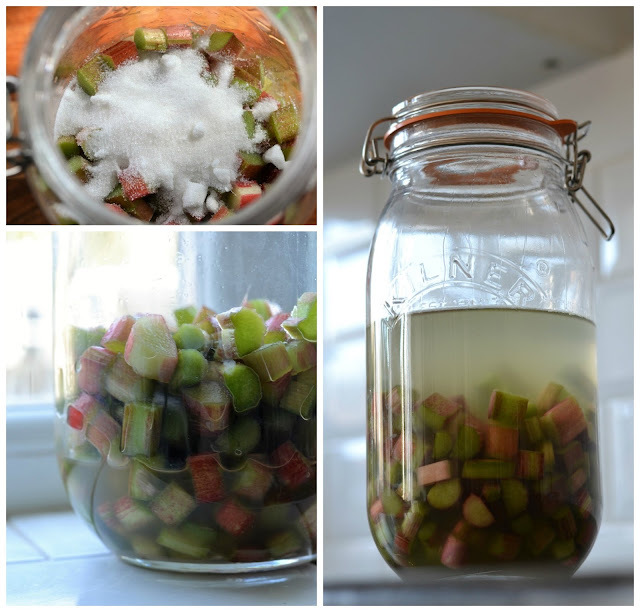 Take a large, sterilised Kilner jar (a 2 litre one will be a sound investment) and throw in your chopped rhubarb. Add the sugar and shake to mix altogether. Shake again (by this point a lot of the juices should be running out from the rhubarb). Leave for...a couple of minutes and then add the gin. Leave for a month, in a dark place before taking the rhubarb back out. DO NOT WASTE THAT RHUBARB! 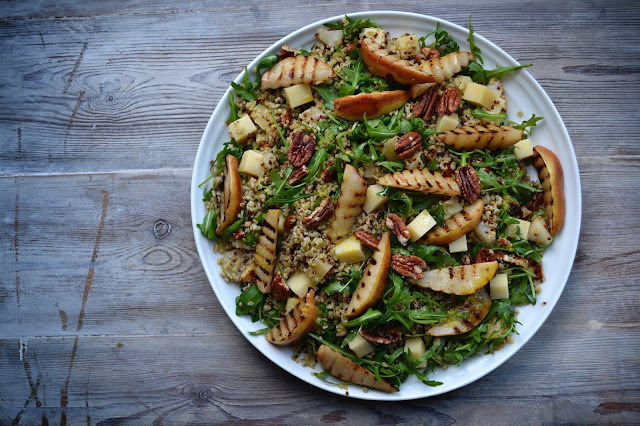 Make a boozy crumble with it or something, for a soporific Sunday afternoon. Enjoy a month later, straight with ice, or in something fizzy. I am sorry. I am not a mixocologist. *Do not be alarmed if your gin is a bit...green at first. After a few more shakes, the pink tinge will come through. I might have to try your recipe. You're right about too much sugar - the recipe I followed had WAY more than 1 tablespoon and it was like drinking melted rhubarb and custard sweets. Not my thing at all, although tonic did diffuse it a little. Have you tried Blackberry Whisky? My current favourite infusion.